It’s been exactly one month since Littlest B was diagnosed with eczema. One month since she was scratching her skin until it bled and one month since she was waking up in the night crying because the itching was too much to bear. One month later and I’m pleased to report the eczema has almost completely vanished. 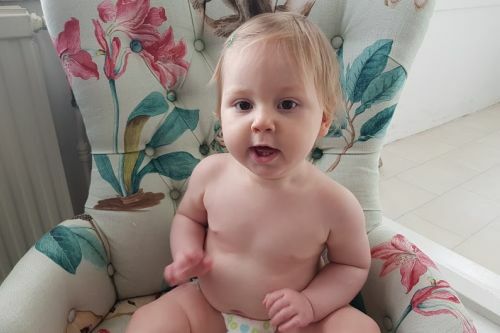 Multiple patches of dry and irritable skin all over her body are down to just one and to look at her you’d never even know she has eczema. I’d even go as far as to say her eczema is cured. 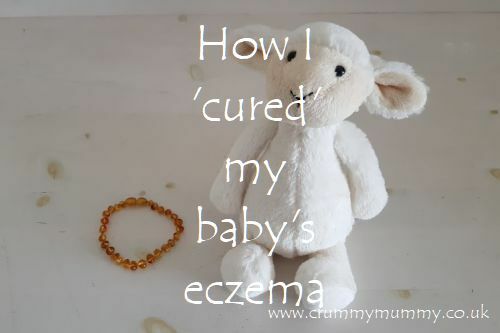 I say ‘cured’ in inverted commas because there are a handful of remedies we’ve been using, but if I stop doing any of them her eczema comes back – with a vengeance. But carry on doing them and it’s all but disappeared. It’s impossible to know whether one product alone is responsible for making her skin better because I’m not using any one product in isolation, all I know is that by using a combination of products I’ve all but cured her eczema. 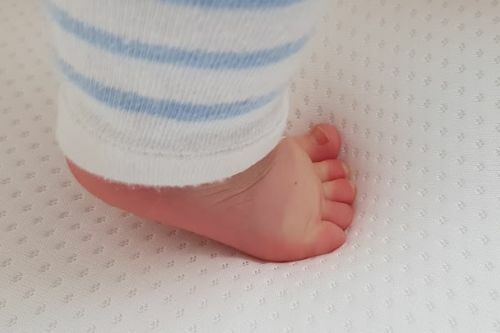 Of course I’m no expert, but I do know what worked for us so for anyone else with a little one suffering like Littlest B was here’s what I did. 1. An amber anklet. I know it might sound wacky, but after wearing an amber anklet under her socks for just one day Littlest B’s eczema was visibly better. Amber contains succinic acid, and the theory is that when the amber is warmed by the skin the stones release anti-inflammatory and immune boosting succinic acid which is absorbed into the blood stream and helps clear up their skin. It’s important to use real amber though so get it from a credible source (Baltic amber is supposed to be the best). I bought ours from Love Amber X (£17.99). 2. Salcura skincare. Salcura’s Bioskin Junior range is made specifically for babies and children with very dry and sensitive skin and includes bath milk, shampoo and an outbreak rescue cream. I find the outbreak rescue cream (£9.99) as effective as prescribed cream at healing broken skin but without the synthetic steroids. The range is made with ingredients including volcanic minerals, lavender and jojoba so it smells gorgeous – not ‘medically’ at all – and you can be confident you’re nourishing their baby skin with goodness rather than artificial ingredients or chemicals. 3. Non bio washing detergent. Because Misery Guts is type 1 diabetic I’ve always used biological washing liquid to get the spots of blood which can come from his injections out of clothes and bedding. 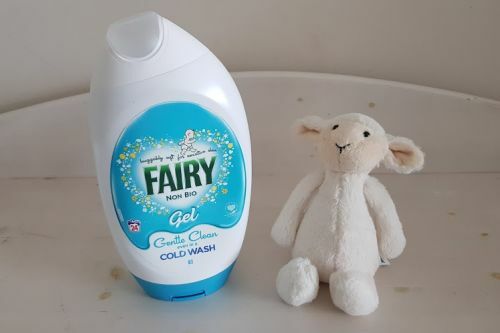 This was fine with baby number one and baby number two, but now baby number three has eczema I’ve switched to non bio (we’re using Fairy) which is supposedly better for sensitive skin. I have to say I’ve really noticed how much softer all our clothes and bedding are since making the switch. 4. 100% cotton clothes. 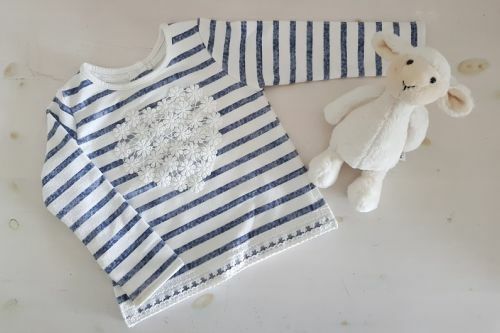 I’d never really considered what Littlest B’s clothes were made of before, but since she was diagnosed with eczema I’ve made sure she only has 100% natural fabrics next to her skin, rather than synthetic ones. 5. Moisturise, moisturise, moisturise! 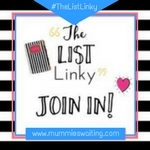 It took a while to get into the routine but moisturising Littlest B’s skin three times a day – once in the morning, once at lunchtime and once at bedtime – has really helped to keep it super hydrated and stop it from drying out. 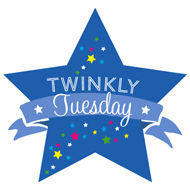 Do you have a baby or child with eczema? Do any of the above products work for you? If you can recommend any other ways to manage eczema I’m all ears! 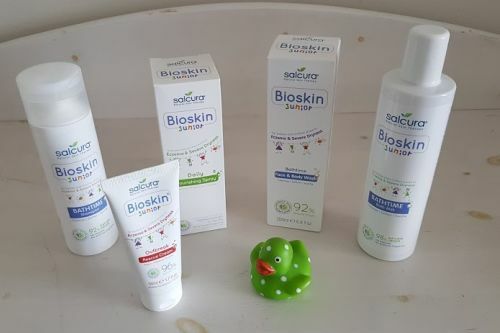 We were sent Salcura’s Bioskin Junior range of skincare products free of charge, but all other products featured in this post were paid for by me. As always all opinions are my own and based on my own honest experience, and I would never recommend products I don’t truly believe in.